An article that appeared in the Marion Daily Star on March 25th, 1921, had the titillating headline “Many People Flock to Haunted House.” However, it’s probably a better example of how gossip spreads around small towns than it is a legitimate ghost story. The genesis of the story was a murder that occurred at a house located on the southwest corner of Creston Avenue and Niles Street in 1919. 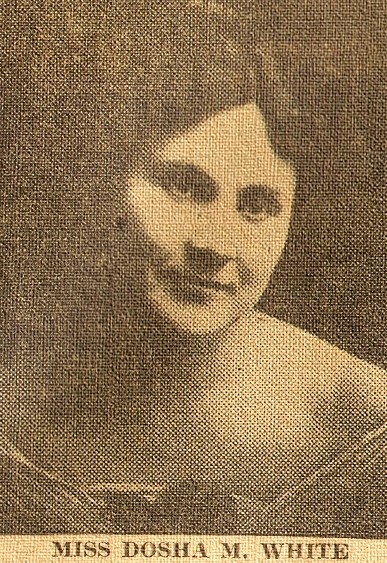 This story, appearing in the March 3rd, 1919, edition of the Star, described how Miller Herman, heartsick over having been rejected by Dosha White, showed up at her mom and dad’s house and shot both Dosha and her new suitor, Lee “Pat” Patterson. Dosha later died from her injuries while Lee survived. When Miller turned the gun on himself, it was Dosha’s mother who, surprisingly, grabbed his hand and diverted the shot so that Miller only succeeded in grazing his scalp. After the crime, Herman ran back to his house not far from the White residence. When police showed up a short time later, Miller didn’t protest his innocence but instead willingly went to jail where he made a full confession a short time later. 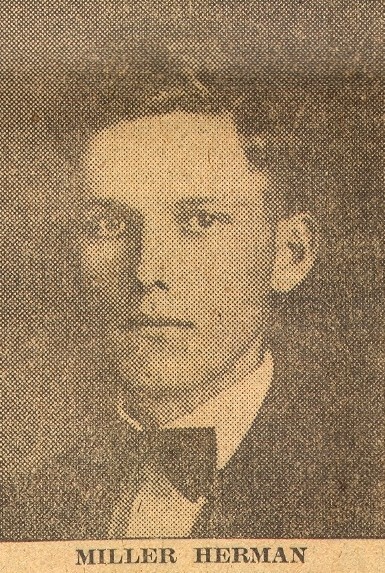 Herman’s photo as it appeared in the 1921 Marion Daily Star. Herman’s crime, while shocking, was nonetheless not especially brutal or hard to understand. The man was jealous and angry, so he thought he’d get revenge on his ex and her new boyfriend. Was the house really haunted? The truth, as with so many ghost stories, will probably forever remain a mystery. I live on Niles St. This is so that’s creepy to me. I also have Mrs. Anderson as a language arts teacher. Well, is your house haunted Cory? Dosha White was my great-grandmother and I have been researching the White family line for many years (acw2377 on Ancestry). I provided the web site author the newspaper photos of Dosha and Miller and information on the murder. If anyone has any information on Dosha White, Miller Herman, or anyone in the White family line (especially photographs that they would be willing to copy/share), please contact me at acw2377@aol.com. Thanks!